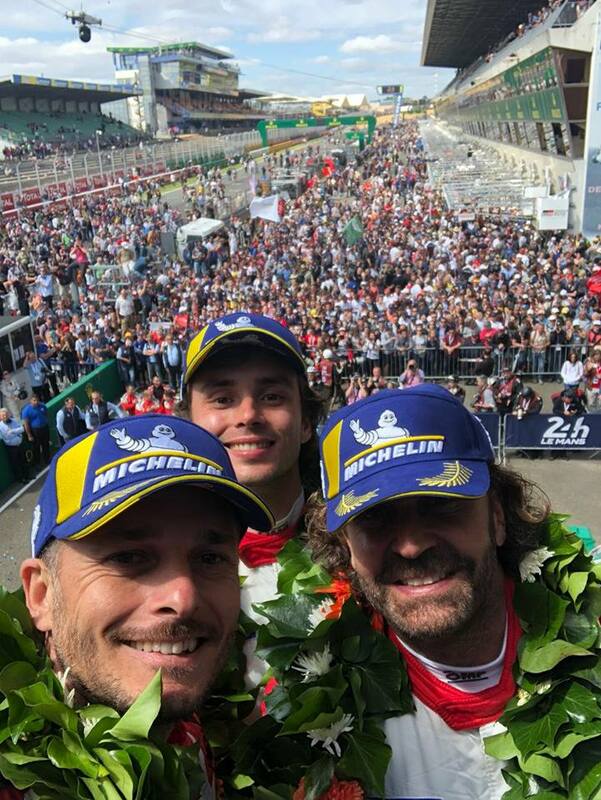 Fisico came 2nd in the end, and the commentators found time in their praising of Toyota to also acknowledge that Giancarlo "drove his heart out" and that it was good to see him encourage his team to the heights it reached (Porsche were basically faster than everyone in both GTE classes, possibly due to a BoP quirk). I did not get to see Fisico's podium "live" because every single broadcaster covering the race in Britain cut away from the podium after the LMP1 awards were given. Fisico was on average around 0.25 seconds quicker than the next-quickest driver, Benjamin Barker. This may very well have been Giancarlo's finest Le Mans ever. His 25 best laps were within 2.5 seconds of each other (on a lap that is, for him, an average of about 3:53.7 seconds). The only drivers more consistent than him in GTE-Am were the in car #80 (Christina Neilsen and Fabio Babini), but they were considerably slower (Fabio was the slowest Gold driver and Christina the 9th fastest of 12 Silver drivers - this may have been car-related, as their Bronze driver was also slow). Francesco Castellaci is the fifth-fastest Silver driver (which is one position higher than he was at Spa, despite there being more Silver drivers at Le Mans). Thomas Flohr was the 6-fastest Bronze driver out of 11 (he was 8th out of 9 at Spa). Both Francesco and Thomas improved considerably - especially Thomas, who was really slow in his first stint but was visibly more rapid every stint he was in the car. I know you like podium photos and so does Fisico, so here's another one from Fisico's Instagram. Francesco, Fisico and Thomas in the parade on Friday. My contribution to #Elders Day. It is Giancarlo Fisichella. Like a fine wine, he gets better with age!